I was delighted to receive a review of copy of Nimesh the Adventurer from Lantana Publishing. 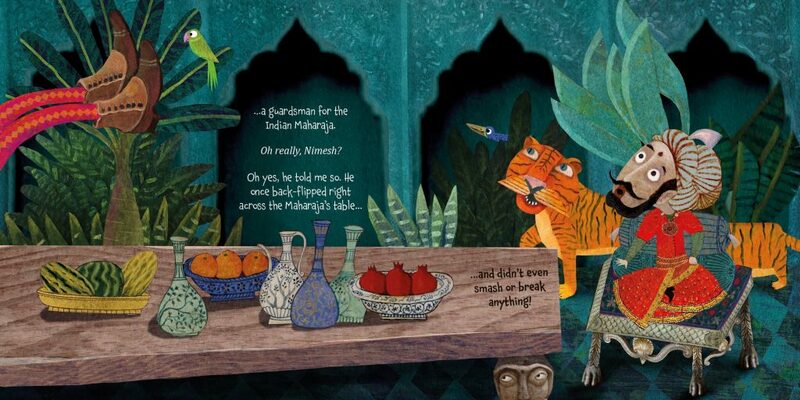 The illustrations in this book are gorgeous and really bring the story to life. Nimesh goes on many imaginative adventures on his journey home from school. The chatty conversation style keeps you engaged and wanting to find out where he goes next. Many of the pictures give insights into East Indian culture and it is great to see an Indian family being the focus of such an imaginative story. The journey narrative was really effective. It reminds me of Emily Brown, by Cresida Cowell and Neal Layton. Nimesh Adventures will appeal to older children and adults too. 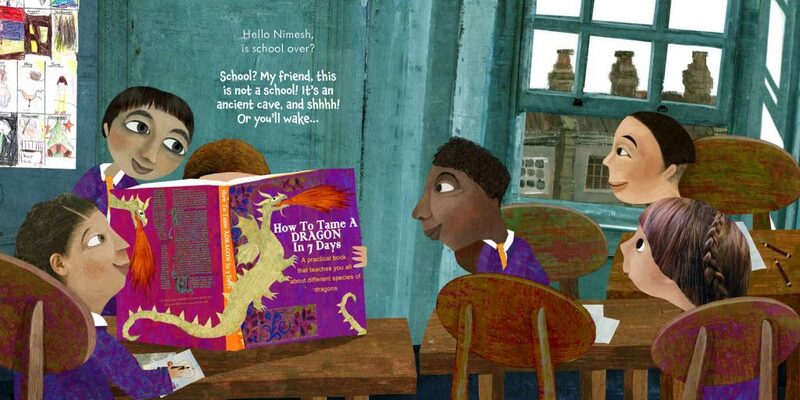 It begins at the end of the school with Nimesh and his friends excitedly looking at a book about Dragons. This draws the readers in and is sure to capture the attention of even the most reluctant of readers. 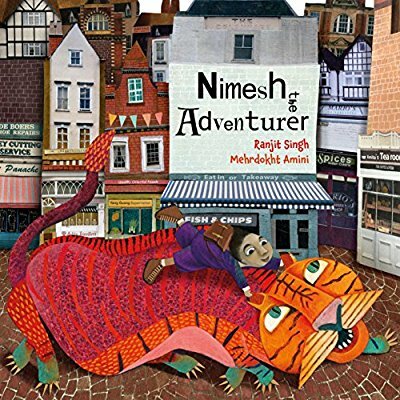 Nimesh then goes on a number of other imaginative journeys, including: swimming with sharks, the North Pole, meeting a guardsman for the Indian Maharaja’s, and a princess in the garden. I love how something ordinary is the inspiration for imaginative ideas. The picture on the wall of a shark, turns into a corridor full of sharks. And the dogs walking down the street turn into a dog sleigh at the North Pole. The author Ranjit Singh is a British children’s author of East Indian heritage . The illustrations are drawn by Mehrdokht Amini an Iranian born illustrator. They vividly capture the Indian culture whilst at the same time depicting many ordinary things that all children will identify with. There is lots of detail and clues for the reader to look for to help them to guess what will happen next. This would be a great book to share with children of all ages. One to one this book could be shared with children as young as 4 years old. But, as a whole class read I think it has most potential from year2/year 3 upwards as there is so much to explore and possibilities for discussion. It could be used across the whole of KS2 and I think it even has potential as an inspiration for story writing in KS3. Or direct from Lantana publishing’s website.